The headquarters building of the Lyndhurst Foundation is located at 517 Oak St. in downtown Chattanooga. The charitable foundation that led Chattanooga's downtown revival will split apart at the end of the year. The Lyndhurst Foundation, which pumped more than $100 million into local education, arts, environmental and community initiatives over the past decade, will spin off $50 million next year to help start smaller family foundations for each of five grandchildren of Lyndhurst founder and Coca-Cola magnate Thomas Cartter Lupton. Size: Lyndhurst is Chattanooga's second largest foundation behind only the Maclellan Foundation, which was funded with money derived from Provident Life & Accident Insurance Co. Although most of the Lupton grandchildren no longer live in Chattanooga, the family foundation trustees agreed to keep most of Lyndhurst's assets and focus on the city. But most assets of Chattanooga's second largest foundation - Maclellan Foundation with $354.6 million at the end of 2009 is No. 1 - will remain focused on Chattanooga and under the control of a new 10-member community board. "We felt like this was the best way to honor both the tradition of family philanthropy and to sustain Lyndhurst commitment to Chattanooga under new community leadership for the future," Lyndhurst Chairman Allen McCallie said. Even after giving away $15 million this year and seeding the new family foundations with $50 million next year, the Lyndhurst Foundation should still have more than $100 million in assets for the new board to use for the community programs it decides to support. 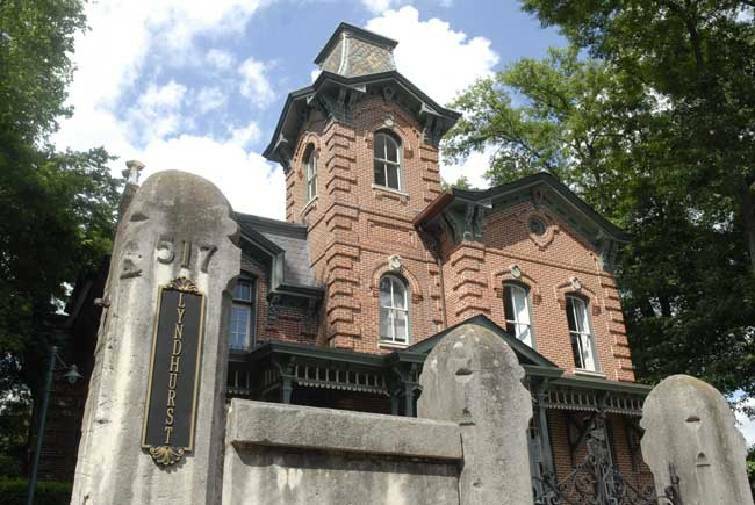 "There was a real concern that the vast majority of the Lyndhurst wealth could leave town and I think it's worth celebrating that most of the money will stay in Chattanooga," said Pete Cooper, executive director of the Community Foundation of Greater Chattanooga, which works on a number of Lyndhurst-backed projects. Lyndhurst trustee Alice Smith - the oldest daughter of long-time Lyndhurst Chairman Jack Lupton, who died last year - said the foundation changes will bring new community voices to Lyndhurst and should spur even more contributions to family and community causes. Smith and her siblings and cousins who will start up the new foundations have agreed to match the Lyndhurst funds with their own money, although four of those foundations will likely be based in other cities. "We are elated to continue our family philanthropy through new, smaller foundations, both here and in other home cities of the family members, and to nourish new leadership at Lyndhurst," she said in an announcement. "We have probably 'broken the mold' on many things we have done at Lyndhurst in the past, and we may be doing so again. But it is a very invigorating process that we look forward to." For all of Lyndhurst's support of Chattanooga through its 72-year history, Smith is the only family trustee of the Lyndhurst Foundation who still lives in Chattanooga. The foundation was started in 1938 by Thomas Cartter Lupton, who died in 1977 and left part of his estate to the foundation to boost its assets by 1978 to $60 million. Lyndhurst's contributions since have been funded by investment earnings on those assets, Lyndhurst President Bruz Clark said. "Lyndhurst has helped transform Chattanooga," said Corrine Allen, executive director for the Benwood Foundation, another $100 million-plus foundation started by the Coca-Cola bottling fortunes of the late Benjamin Thomas. "You can't hardly look anywhere in Chattanooga without seeing the fruits of what Lyndhurst helped bring to our city." Cooper said Lyndhurst and its former chairman, Jack Lupton, pushed projects that many political leaders were reluctant to back, including the start of the Riverbend Festival, Chattanooga School for Arts and Sciences and public art displays. "They were the thought leaders in the renaissance of this city and were willing to go out on limbs where people didn't even see the limbs," Cooper said. To help shape a new vision for Chattanooga in the early 1980s when the city's population and jobs were declining, Lyndhurst provided more than $1 million a year for Chattanooga Venture to help the community shape a new vision. The Tennessee Aquarium and later the 21st century waterfront development, which emerged as one of those visions, was entirely privately financed. Lyndhurst and Jack Lupton gave more than $10 million for the aquarium and funded much of the Tennessee Riverpark and Coolidge Park on the Tennessee River. The Lyndhurst also helped spawn River City Co., Chattanooga Neighborhood Enterprise, CreateHere, Greenspaces, the Public Education Foundation and the Tennessee Riverwalk, among other projects. "You can't imagine the downtown we have today without Lyndhurst being a vital part of it," River City Co. President Kim White said. Dan Challener, executive director of the Lyndhurst-backed Public Education Foundation, praised the foundation for "taking the long-term view and for being a consistent supporter of our public schools." Lyndhurst trustees picked 10 community leaders to run the private foundation starting in January. The designated trustees come from a variety of arts, business, community and health care backgrounds. "Lyndhurst has invested heavily in trying to help Chattanooga determine what it wants to be and we think we have a new board from a new generation of Chattanooga leaders to carry on that tradition," McCallie said.